You may have to take a slightly different approach than usual if you are potty training a dog when you live in an apartment, as opposed to when you live in a house. You can’t exactly install a doggy door if you live in an apartment, so your puppy won’t be able to access the outdoors as easily when they need to go. Don’t worry. That doesn’t mean that the task ahead of you is impossible. It will just take some work and persistence on your part to train your dog to get into the routine that you choose to establish with them. Long elevator rides can get in the way of your puppy’s need to go potty all of a sudden. For small dogs, it can be possible for owners to get away with using puppy pads when they are not taking their puppy for walks. Simply set up an area, preferably separated using a fence or portable dog playpen, that is always the puppy’s ‘spot’ to go. Use positive reinforcement when your dog goes in that spot and keep the trash for the mess close by so they associate the smell with the place that’s okay to go in the house. A puppy or dog can be trained at any age but once a puppy is left alone a lot or allowed to go anywhere inside, bad habits will form and it will be harder to potty train them when you do get around to it. Do your best to bring your puppy out approximately every two hours and plan for overnight runs for the first few weeks. If I wear puppy pads, do I get to relieve anytime I want?!? Make sure that your efforts are consistent and that you are being clear with your expectations. Changing their routine or punishing a puppy for going inside when you have been away all day is no good. 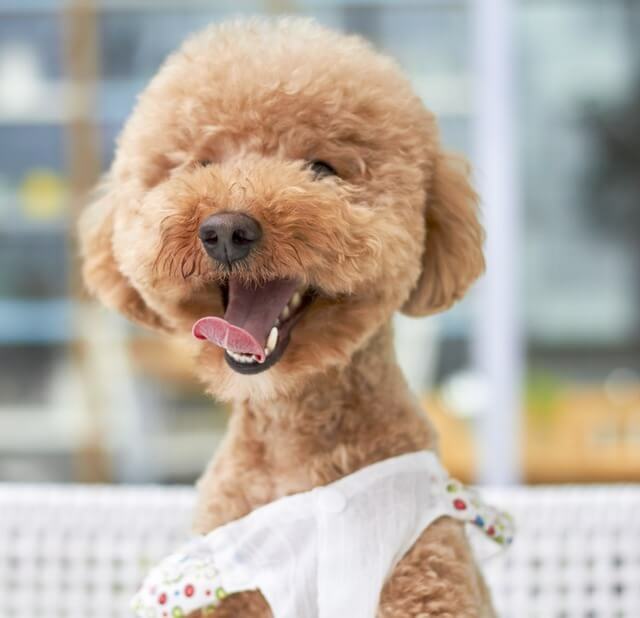 If you need to use puppy pads because you live in a high rise, make sure you maintain cleanliness and encourage your puppy when he or she uses the pad successfully. A regular feeding schedule will help keep your dog healthy and their digestion regular. Plus, once you start feeding your pup at the same time each day their bowel movements should start to happen like clockwork. It’s also a safe bet to take puppies out immediately at first then approximately 10-20 minutes after they eat or drink because a full belly will push on the puppy’s bladder and accidents will be more likely to happen. 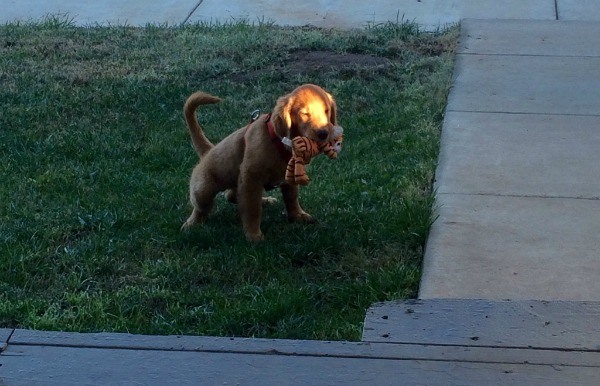 Part of successfully housetraining a puppy is to anticipate when they need to go and make sure they can do so. Eventually they will learn to come to you and tell you when to take them out. Young puppies should be taken out approximately every 20 minutes, while older puppies can wait about an hour or two but not much longer. When your puppy needs to go out carry them outside or to a puppy pad until they learn to signal to you that they need to go. Make sure when you get a new puppy that you will be home to do this, whether you need to take time off from work, rely on friends and family to help, or hire a dog sitter. This will help potty train your puppy faster, whereas if you leave them alone often accidents will happen and training will be harder to reinforce. Keep your puppy close by at first by using a gate or fence so they don’t go into another room to do their business while you aren’t looking. Keep an eye out for signs like barking, scratching, looking at the ground, and squatting and make sure to bring them out when you notice your puppy doing any of these things. Encourage your puppy to always do their business in the same spot so that they will remember what they need to do when they go there. When you take them to the spot use a command like “Go potty!” and only use that command at that spot. When they go in their designated spot, give them positive reinforcement in the form of praise or a treat. This strategy is also a good way to make clean-up easier and more consistent for you, since apartment buildings are often strict about picking up dog waste. 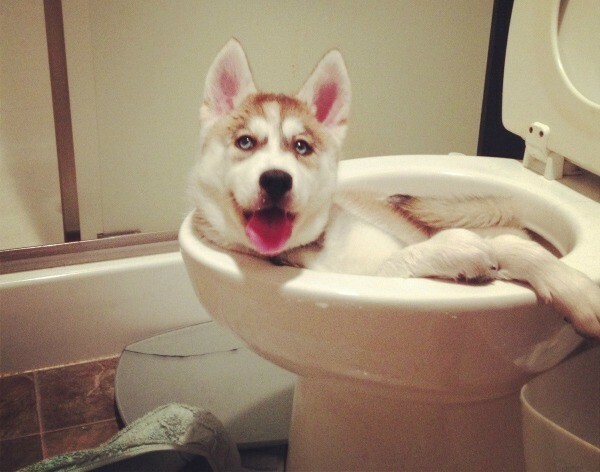 Potty training a puppy in an apartment isn’t too different from training a puppy anywhere else. It still requires you to keep a close eye on your puppy as he learns, using positive reinforcement when your puppy does well, and takes consistency on your part. For small dogs whose mess is relatively contained, owners may choose to use puppy pads especially for young puppies if they will not make it downstairs from a higher floor apartment on time. However, owners should keep in mind that this solution cannot take the place of walks and exercise for their dog. Do you own a puppy and live in an apartment? Share your tips below and if you liked our post please share it around! Thank you very much for these tips, it is always good to learn more things to care for our puppies. Congratulations on your blog! A hug from Spain.